I am fascinated by individual accounts in history of people's first impressions of Beccles. Personal diaries or published articles which tell of making a new life and setting up a home. I came to Beccles as an infant, with my parents, from nearby Bungay and while it didn't mean much to me then, it definitely came to mean a lot more by the time I was nine years old living in Peddars Lane. I recently came across a published account of somebody who arrived in Beccles in the 1870s and as I came to Beccles in the 1970s, I was curious to compare the changes in one hundred years. There wasn't much that had actually changed but nonetheless, I enjoyed reading her personal observations of Beccles. Arthur George : Alice Maud : Ethel Beatrice : Kate Adelaide : John Fingal (who was blind). (There were two other children Walter Henry who died in infancy and Edith Mary who lived in Cambridge and married in 1886, later moving to Wales). "On 12 August 1872 Miss Tracy and her two younger sisters arrived to stay with her grandmother [Jane Tracy], who had hired a house in London Road now occupied by the Mayor and Mayoress, until their mother arranged their future home. Peaceful green meadows and cornfields existed where now Alexandra, Denmark, Gosford, Gresham, Kilbrack, St Benedict’s, Grange, Ashman’s and Priory Roads, as well as a large part of Ravensmere, Swine’s Green and Lady’s Meadow. 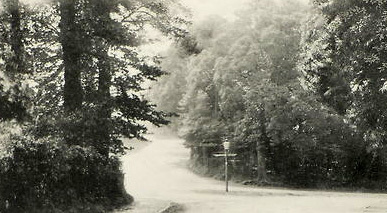 By far the most picturesque entrance to the borough was by way of Bungay Road, where the fine old trees at the end of Ashman’s Wood met another group on the opposite side of Ringsfield Road now occupied by the Catholic Minster, and the row of oaks and elms in the Fauconberge School playground. Now all were gone. A pretty grass slope edging the road and path in front of the two old cottages opposite the former Sir John Leman School and an ancient pump has been removed and a raised path with concrete steps provided instead. 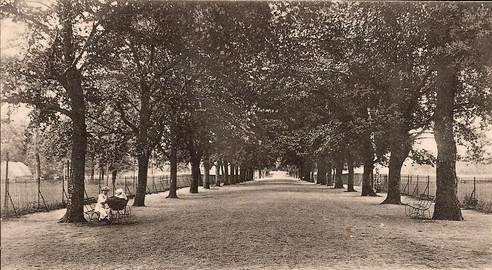 Love Lane, as St Mary’s Road was called then, was really a Lane. On one side was the playground and part of Homefield and on the other a huge cornfield extending right up to the waterworks and Ringsfield Road. Half way down the lane was a stile and a pretty winding footpath through the cornfield to the entrance to London Road, where there was another secluded style stile that was very well remembered by many who were then young men and girls. Priory Road had completely buried that little pathway. 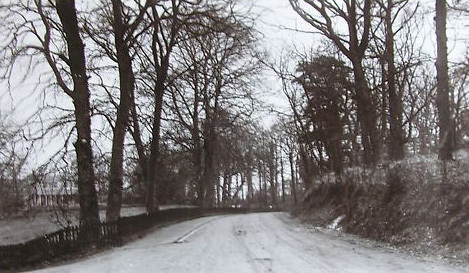 In London Road, the main feature, which struck everyone going up the road, was the two beautiful copper beeches on the left hand side. Unfortunately, they grew so large and darkened to such an extent the houses they fronted that they had to be cut down. Another feature was the tall tower mill, but when its sails were revolving and their shadows were falling on the windows of the houses opposite conditions for the occupants was rather trying. The river provided great sport during the winter, for when there was an extra high tide and the water could not get away quickly enough under the low bridge the marshes were flooded. When this water froze there were acres of ice for skating. Sometimes the frost lasted for six weeks, and in the middle of the day the town would be almost deserted. Everyone who could get away, flocked down to the ice and learned to skate in no time. Some years they skated to Bungay or Oulton Broad. One winter a Carnival was held on the ice on the river, a donkey and cart going up and down selling oranges and buns and hot potatoes roasted on a stove..."
Alice Martha Tracy's mother Mary Jane died at home in Exchange Square, Beccles of Apoplexy which took her life within three hours of the onset of symptoms. Her death was reported in the Beccles Paper of 14 February 1882. It stated that "she was the sister-in-law to the Rector [F.F. Tracy] and she leaves six children, one of whom is blind". At almost the same time, her brother-in-law F.F. (Frederick Francis) Tracy resigned as Rector of Beccles and the position was taken over by Rev. John Rowsell of Beverley, county Yorkshire. Alice Tracy was for twenty years a Secretary of the Beccles Soldiers' and Sailors' Families' Association and since its formation had helped to collect over £12,000. She retired from her position as Secretary in December 1936 and it was reported in the Beccles & Bungay Newspaper. Alice Maud Tracy died in 1960 at St Audrys Hospital in Melton, county Suffolk (St Audry's was a psychiatric hospital, formerly an asylum and workhouse. More information about St Audry's can be found here). Debra - I'm fascinated with your blog! Thank you for all your hard work. My gg-grandfather moved to Beccles 1860. He married a local girl, had a lot of children, and came to America in 1881. This http://www.foxearth.org.uk/BecclesStreets/Streets__Sheepgate_.htm says he lived and worked at 1 Sheepgate. His name was Benjamin Brown. Since you lived there do think you could tell me where that would be today? I can't find Sheepgate on a current map, but I'm willing to bet the building is still there.